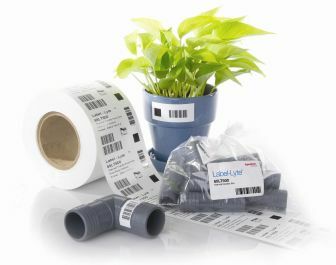 ExxonMobil Chemical is introducing four new Label-Lyte films for demanding labeling applications at the ongoing LabelExpo Americas, which runs until September 13 in Chicago, the US. Label-Lyte 52LLC210 is a clear, lightweight oriented polyolefin film that can offer high converting characteristics, conformability and flexibility for pressure sensitive label (PSL) applications. ExxonMobil says this film allows high quality tailored designs that reduce wrinkling and darting of the labels, even after the container is repeatedly squeezed. It is well suited for a wide range of market segments including health and beauty care, household products, beverages, canistered or bottled food and automotive applications requiring exceptional label and point-of-sale appearance. Label-Lyte 65LT500 thermal transfer (TTR) film delivers high yield for improved economics and wide ranging print and adhesive performance. Exhibiting a matte white finish, the film is designed for TTR printing of demanding PSL applications. These include consumer durables, automotive, household chemicals and detergents, pharmaceutical, retail shelf marking (barcodes), plumbing and other industrial applications. Compared to widely used 75 micron, and higher materials, the film provides a significant yield improvement, enhanced quality and consistent print surface appearance, the company notes. The higher yield results in more film footage per roll for fewer machine change-overs, more run time and less waste. Label-Lyte 50ML580 is a surface-printable oriented polypropylene (OPP) film aims at delivering a consistent and attractive metallic appearance and high speed press performance. The proprietary top-coated metal print surface provides improved metal adhesion and protection, and is designed for good print receptivity for a broad base of ink systems. The film is compatible with UV flexo, letterpress, screen and offset systems, as well as water-based flexo and solvent-based gravure systems. It is suited for applications such as beverages, health and beauty care, and household products. Label-Lyte 40LL539 is a clear, two-side-coated OPP film that allows downgauging opportunities for lighter weight labels with a “no-label” look. It is designed for demanding PSL applications which require outstanding ink adhesion and adhesive anchorage. These include beverages, health and beauty products, pharmaceuticals, general consumer food goods, household products, pet food and other diverse markets.